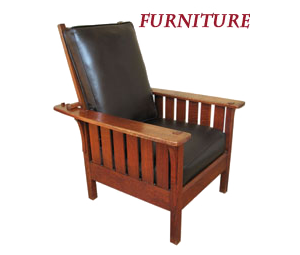 Our antique Mission and Arts & Crafts furniture dates from the early 1900's and includes hundreds of fine examples from the work of Stickley, Stickley Brothers, Gustav Stickley, L&JG Stickley, Harden, Lifetime, Limbert, Roycroft and others including less expensive, generic period furniture. 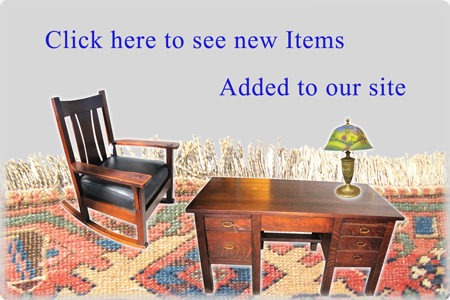 We also have a large collection of fine antique Persian and Oriental rugs from the late 19th to early 20th centuries in many designs and price ranges. We have a large inventory of hand knotted typical Persian designs including Serapi, Sarough, Kashan, Kerman, Chinese Deco, and Caucasian rugs as well as Wilton Anglo Persian and Karastan machine-made rugs. We also have a large collection of fine antique Persian and Oriental rugs from the late 19th to early 20th centuries in many designs and price ranges. We have a large inventory of hand knotted typical Persian designs including Serapi, Sarough, Kashan, Kerman, Chinese Deco, and Caucasian rugs as well as Wilton Anglo Persian and Karastan machine-made rugs. 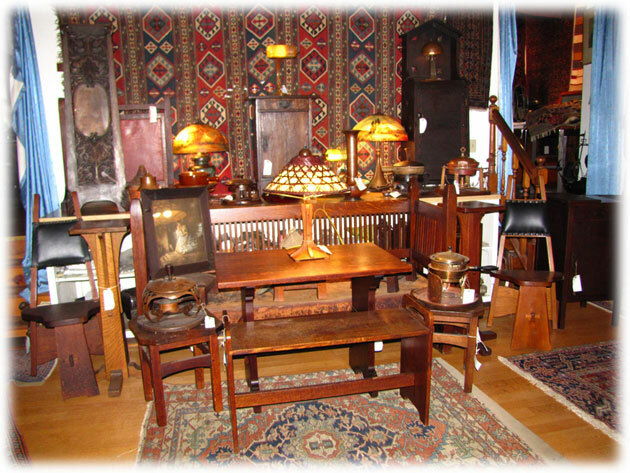 We do buy and trade your antique rugs and furniture!